Mangos are in the sub-tier of popular fruits. Mango is in the 2nd tier of popular fruits. When we think of the most-popular fruits, berries, bananas, apples, oranges, and maybe the melons come to mind. The tropical fruits, like mangos, papayas, kiwis are in the 2nd or even 3rd tier. Which is a shame because mangos (and most tropical fruits) are inexpensive and bring an amazing summer-like taste that you certainly can’t get from apples. So let’s talk about low-sugar mango popsicles. First of all, why low-sugar mango popsicles? Popsicles, in general, are very popular with children. And why wouldn’t they be? They are tasty, easy-to-carry, and very refreshing especially on hot summer days. The problem with popsicles are the conventional ones. The popsicles you purchase at your local grocery store are far from being natural or healthy. Most don’t even use fruits! 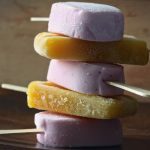 The conventional popsicles are full of corn syrup, high fructose corn syrup, food dyes, and maybe trace amounts of fruit juice. The beauty of this low-sugar mango popsicles recipe is that it is full-fat and all-natural. No processed sugars….just the pulp of two incredible fruits: mangos and bananas. Speaking of the banana, it is best to opt for a non-ripened, green-looking banana. Why? Non-ripened bananas are prebiotic, resistant-starch meaning they feed our probiotic bacteria in our microbiome very well. We should try to have a diet high in BOTH prebiotic and probiotic foods. Green bananas is an expensive and easy way to accomplish that so use an unripen one for this recipe. We also use coconut milk in this low-sugar mango popsicles recipe. Why? It brings much needed healthy saturated fat to the recipe which is great for nutrition but also satiety. 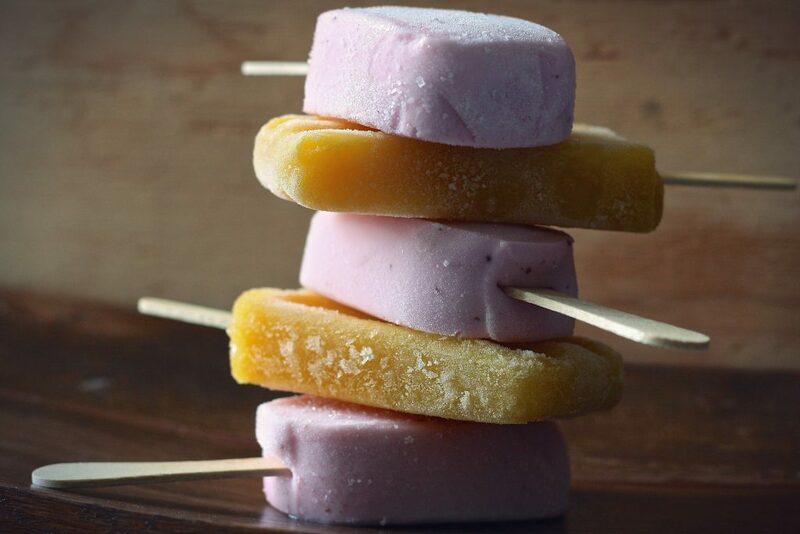 Most popsicles are just pure carbohydrate-laden sugar which causes blood sugar and insulin levels to spike. Aside from other deleterious issues, it causes us to get hungry in a few hours because it doesn’t fill us up. By adding coconut milk, it brings an amazing creamy texture and taste…plus the satiety. This recipe uses the actual flesh of the fruit so you are ingesting the fiber and micronutrients and phytonutrition coming from the actual fruit. So throw out the toxic sugar-laden grocery store ones and use this all-natural recipe. 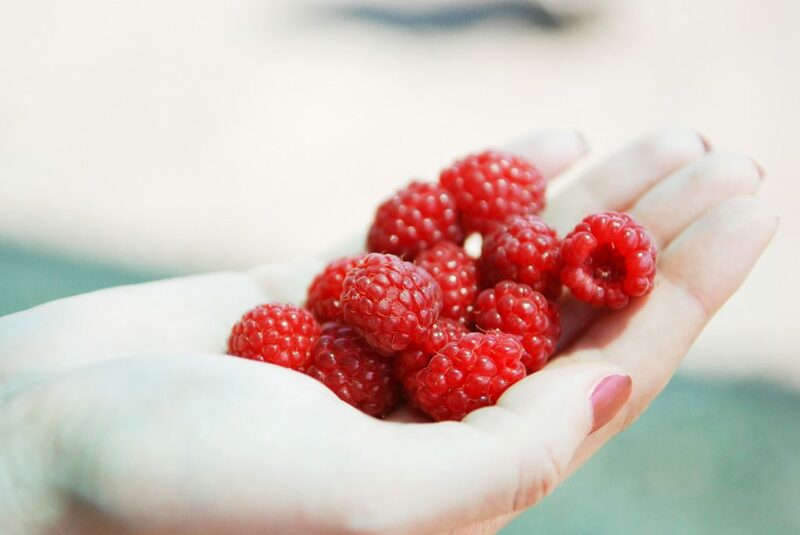 Fruits bring the fiber/phytonutrients you miss out in their juices. This low-sugar mango popsicles recipes is so easy to use. Throw in the 3 ingredients in a blender/food processor and pour into the Popsicle mold and freeze. That’s it! I recommend you use this one below. It comes highly recommended. Put all the ingredients in a food processor or blender. Blend until smooth. Pour into some popsicle molds. Insert sticks. Freeze for 6 hours or until solid. If using frozen mango, thaw at room temperature before using. You may use refrigerated coconut milk (or any other non-dairy milk). I find canned coconut milk to bring the best taste and consistency.